Buy Euro Online in India Easily! EUR rates can vary too much depending on the demand & availability. With Extravelmoney, you can observe and lock the rate when it is favorable. Just pay a small fully refundable rate lock fee & lock the rate for as much as 3 days! 1. Should I exchange money before I travel to Europe? It is better to exchange money before you travel to Europe. As per RBI rule, a resident Indian is only allowed to take upto Indian rupee 25,000 on a trip abroad. So if you are going to Europe without exchanging your money first, you’ll be limited to carrying maximum Rs 25,000 as cash. Also, you may not get currency exchange centers ready to exchange Indian rupee for Euro as Indian rupee is not a widely accepted currency. Even if you do, the exchange rates set by them will be atrocious and not at all favourable to you. Hence it is better to exchange INR to euro in India itself before travelling to Europe. 2. Which countries in Europe accepts Euro? 3. Which is the best forex card for Europe from India? Each forex card provided by the different banks and money changers in India have their own advantages and disadvantages. Some may have no activation fees, some may have no ATM use abroad fees or provide only limited number of free ATM withdrawals etc. To choose the best forex card for Europe from India, compare forex cards offered by banks and forex centers in India through extravelmoney.com. Select a forex card offering the best exchange rate and book your card online itself. 4. Forex card or international debit card, which is better to use in Europe? It is better to use a forex card instead of a debit card in Europe. A Forex card has many benefits over debit card and will help you save money in the long run. Debit card has a plethora of charges associated with it when used abroad for international transactions. Using debit cards in ATMs abroad may carry a 1% to 3% charge on the amount being withdrawn on top of a flat “Foreign ATM withdrawal” fee. Also. other charges like Dynamic currency conversion (DCC) and unfair exchange rates will make using a debit card abroad very costly. 5. How do I buy Euro online? You can buy euros online from ExTravelMoney. Simply visit extravelmoney.com select “buy forex”, choose your currency, enter the amount and click on “get rates”. Enter your location to get the list of banks and money changers in your location who sell euro currency and also compare their exchange rates and service charges. Select the forex store offering the best rate and place your order online itself. 6. How to exchange Euro in India? To exchange euros in India, you can approach a bank or RBI licensed money changer authorised in foreign exchange. There you can buy or sell euros for Indian rupee. If you don’t want the hassle of physically visiting each bank or money changer store to enquire exchange rates and service fees then simply visit extravelmoney.com. Compare rate of euro offered by different forex centres in your town/city online itself! You can even book the order online and ensure home delivery of currency. 7. 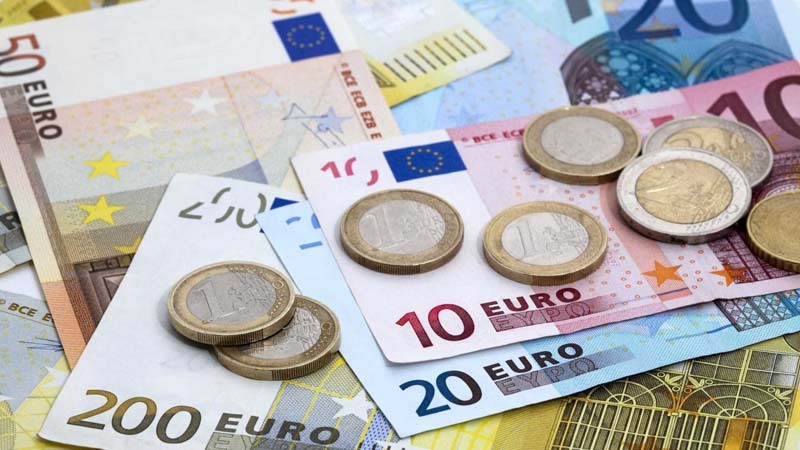 How to get the best exchange rate for Euro in India? Getting the best exchange rate for euro in India is effortless with ExTravelMoney. Compare online the exchange rates offered by banks and RBI approved money changer stores in your locality. Also, take a look at their service fees and whether they provide free door delivery of currency. Forex stores in ExTravelMoney compete with each other to attract customers. Thus they offer competitive market beating exchange rates through the portal. Thus you can find the best exchange rate for euro in India easily through ExTravelMoney with a few button clicks and from the comfort of your home. 8. Will my debit card work in Europe? Your debit card will work if international transactions have been enabled in it by the issuing bank. Check with your bank’s customer care for the same. If your card is an international debit card then you can use it for cash withdrawal from ATMs and card swiping machines in Europe. Debit cards may charge 3 to 6% extra of the amount you are paying with them when used internationally. This would be on top of bad exchange rates offered by them and can quickly drain your funds. Please Note : Our sincerest advice is to use a forex card instead of a debit card when going to Europe. This is because of the benefits of forex card over debit cards such as no currency conversion fee, DCC fee and unfair exchange rates. 9. What types of credit cards are accepted in Europe? Credit cards on Visa, MasterCard network are widely accepted in Europe. EuroCard, American Express and Diners club may also be accepted though it’s acceptance is not as wide as that of Visa or MasterCard. Credit card companies may charge hidden fees of 2 to 5% on transactions abroad. Before travelling abroad notify your credit card company and also ask them regarding credit card transaction fees abroad. Please Note : Even better than credit cards are forex cards. They will not have hidden transaction abroad fees and other credit card abroad charges thus saving you money. Please read about the advantages of advantage of forex cards over credit cards before going on your trip abroad. 10. Do they accept US Dollar in Europe? While some businesses may accept US dollar in Europe, it won’t be usually accepted everywhere. Even when establishments accept the US dollar, the exchange rate they offer for it will be terrible. This will reduce the money in your wallet really fast. It is better to exchange your Indian rupee for euros before travelling to Europe. You can do that by placing an online currency exchange order via extravelmoney.com. If Euro currency is not available, the next best currency to carry is US Dollar.